An online service that allows you to identify and register the registration plates for both moving and stationary vehicles, including advanced search features. NetRex LPR is an online service for identifying and recording registration plates for both moving and stationary vehicles. It also works for the subsequent search for required registration plates from the acquired records and for launching automated operations based on their detection. 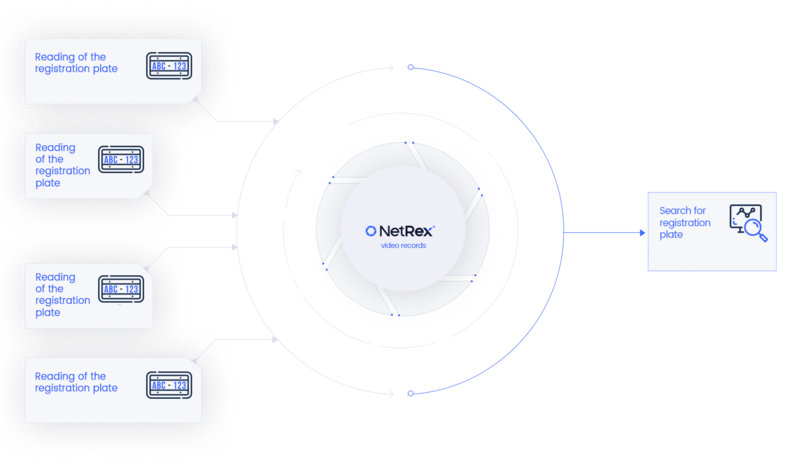 Go online with the NetRex LPR service, which acts as a checking and access tool. Thanks to its features it is suitable for parking lots, premises, offices and cities. This smart cloud service alerts you in the case of a stolen vehicle, provides information about the time of the vehicle incident, or it can act as evidence in any complaints from car service centers, automotive shops and other outlets. Discover the power of video analytics! 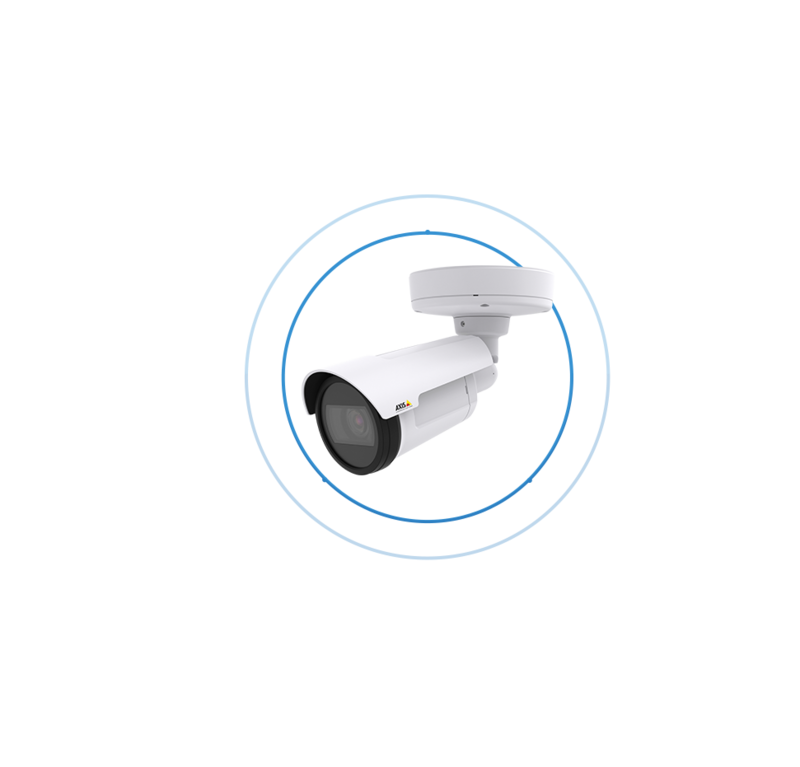 The provided IP cameras simply connect to the Internet and log in to the web application. The fast and easy installation saves you not only time but also money. Save! A small application will be uploaded to one IP camera to extend its functionality. The surveillance camera will become smarter and will function for the recognition of registration plates. One device is just enough. The state-of-the-art OCR software running directly in the camera performs analysis in order to reliably locate vehicle registration plates from most countries around the world, including recognizing multiple registration plates at the same time. Bet on quality that is world-renowned. The performance of the analytical application ensures a high accuracy of vehicle recognition up to 80 km/hr. in day and night conditions. Do not let anyone slip away. Rely on 95% accuracy and maximum relevancy of data. The clear graphical interface provides the necessary configuration features and allows you to quickly search for and download various moments in the recordings. Work efficiently through the web browser you know. 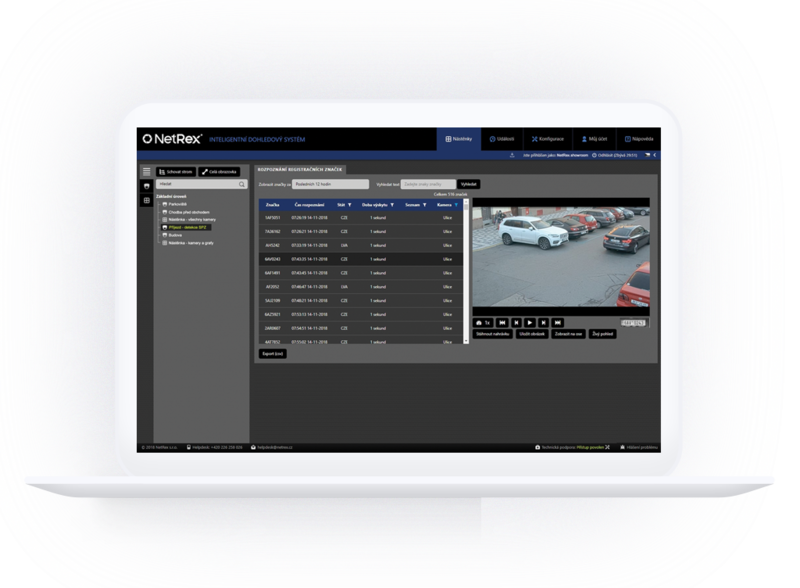 Secure and backed-up NetRex servers store all information and sensitive data on detected registration plates. All data is at maximum security and available for the duration of the service. Security is a priority for us, even for you! NetRex LPR allows you to search for a specific registration plate, the time of the vehicle incident in a given shot or the country of origin of the vehicle. A video record and detailed photo of the registration plate are also available for individual results. Search quickly and efficiently. A smart event module identifies the occurrence of important or selected vehicles by assigning the given registration plates to special lists. This enables you to automate the entry of employees’ vehicles into a building or to alert you to suspicious vehicles. Keep track of every situation. Automatic reports will arrive in your e-mailbox at exactly the specified time per minute. Do not waste your time with lengthy access to all systems and enjoy simple and quick work with detailed reports that you can get on your own. The application interface allows you to transfer information on the found registration plates into systems that you can work with and know like the palm of your hand. Work efficiently in the environment you are used to. Volume discounts Please contact our sales department. Please contact our sales department.